Harry Leslie Smith, who sometimes called himself "the world's oldest rebel," died in late November 2018. I was unable to acknowledge his passing on wmtc at the time. Smith, a writer and an activist, was a steadfast critic of neoliberal policies, especially the austerity agenda. He spoke out constantly and consistently for a more generous, more just, and more inclusive society -- in short, for the preservation of social democracy. I am one of the last few remaining voices left from a generation of men and women who built a better society for our children and grandchildren out of the horrors of the second world war, as well as the hunger of the Great Depression. Sadly, that world my generation helped build on a foundation of decency and fair play is being swept away by neoliberalism and the greed of the 1%, which has brought discord around the globe. Today, the western world stands at its most dangerous juncture since the 1930s. Smith was at his most eloquent when speaking against war-for-profit and in support of peace. In 2013, he wrote "This year, I will wear a poppy for the last time". It's a brilliant and heartbreaking piece. I will print it below; I hope you will read the whole thing. Smith gave his initials HLS new meaning with his Twitter name, @harryslaststand. Last year, Smith tweeted this. Then as now, it brings tears to my eyes. An incredible honour, and something that helped me through the ordeal. Over the last 10 years the sepia tone of November has become blood-soaked with paper poppies festooning the lapels of our politicians, newsreaders and business leaders. The most fortunate in our society have turned the solemnity of remembrance for fallen soldiers in ancient wars into a justification for our most recent armed conflicts. The American civil war's General Sherman once said that "war is hell", but unfortunately today's politicians in Britain use past wars to bolster our flagging belief in national austerity or to compel us to surrender our rights as citizens, in the name of the public good. Still, this year I shall wear the poppy as I have done for many years. I wear it because I am from that last generation who remember a war that encompassed the entire world. I wear the poppy because I can recall when Britain was actually threatened with a real invasion and how its citizens stood at the ready to defend her shores. But most importantly, I wear the poppy to commemorate those of my childhood friends and comrades who did not survive the second world war and those who came home physically and emotionally wounded from horrific battles that no poet or journalist could describe. However, I am afraid it will be the last time that I will bear witness to those soldiers, airmen and sailors who are no more, at my local cenotaph. From now on, I will lament their passing in private because my despair is for those who live in this present world. I will no longer allow my obligation as a veteran to remember those who died in the great wars to be co-opted by current or former politicians to justify our folly in Iraq, our morally dubious war on terror and our elimination of one's right to privacy. Come 2014 when the government marks the beginning of the first world war with quotes from Rupert Brooke, Rudyard Kipling and other great jingoists from our past empire, I will declare myself a conscientious objector. We must remember that the historical past of this country is not like an episode of Downton Abbey where the rich are portrayed as thoughtful, benevolent masters to poor folk who need the guiding hand of the ruling classes to live a proper life. I can tell you it didn't happen that way because I was born nine years after the first world war began. I can attest that life for most people was spent in abject poverty where one laboured under brutal working conditions for little pay and lived in houses not fit to kennel a dog today. We must remember that the war was fought by the working classes who comprised 80% of Britain's population in 1913. This is why I find that the government's intention to spend £50m to dress the slaughter of close to a million British soldiers in the 1914-18 conflict as a fight for freedom and democracy profane. Too many of the dead, from that horrendous war, didn't know real freedom because they were poor and were never truly represented by their members of parliament. My uncle and many of my relatives died in that war and they weren't officers or NCOs; they were simple Tommies. They were like the hundreds of thousands of other boys who were sent to their slaughter by a government that didn't care to represent their citizens if they were working poor and under-educated. My family members took the king's shilling because they had little choice, whereas many others from similar economic backgrounds were strong-armed into enlisting by war propaganda or press-ganged into military service by their employers. For many of you 1914 probably seems like a long time ago but I'll be 91 next year, so it feels recent. Today, we have allowed monolithic corporate institutions to set our national agenda. We have allowed vitriol to replace earnest debate and we have somehow deluded ourselves into thinking that wealth is wisdom. But by far the worst error we have made as a people is to think ourselves as taxpayers first and citizens second. Next year, I won't wear the poppy but I will until my last breath remember the past and the struggles my generation made to build this country into a civilised state for the working and middle classes. If we are to survive as a progressive nation we have to start tending to our living because the wounded: our poor, our underemployed youth, our hard-pressed middle class and our struggling seniors shouldn't be left to die on the battleground of modern life. Are you writing for rights? I almost gave myself a pass this year. I'm living out of a hotel room and I don't have easy access to a printer, and... what the hell? I'm one of the most privileged people on the planet. Surely I won't skip Write For Rights because it's a bit inconvenient! On December 10, 1948, the newly-formed United Nations adopted the Universal Declaration of Human Rights, the first document of its kind in history. Every year, on and around December 10, people who have human rights use them to help others whose human rights have been violated or negated. Here are the 2018 Write For Rights cases. Notice anything different? Join me and thousands of others. Join the biggest human rights event on the planet. By giving 15 or 30 minutes of your time, you can join thousands of others who believe that all humans have rights, no matter who they are, where they live, and what they believe. The right to peaceful protest. The right to inform others. The right to be free from torture. The right to not be arbitrarily arrested and imprisoned; the right to a fair trial. The right to express their sexual orientation and gender identity. The right to worship in any faith and the right to not worship. The right to organize a union. The right to refuse military service. The right to live free from involuntary servitude (slavery). The right to be free from sexual violence. Read: Universal Declaration of Human Rights. Think you don't know how to write a letter defending human rights? Take a crash course. Want to know more about Amnesty? Here you go. Here are the 2018 Write For Rights cases. Write because an issue resonates with you. Write because you've been to a country and you feel solidarity with its people. Write because the world breaks your heart. Write because you believe in something. Write because it feels good to help others. 2018 Write For Rights case are here. This year, all the Write For Rights cases are women. Write because you are a woman, or because you love a woman, or because you believe in a woman, or all three. I have been nominated as the NDP candidate for Mississauga Centre, the riding where I live and work. You can follow my campaign here on the web, on Facebook, and on Twitter. I am very excited to work for the people of Mississauga Centre, to help bring change for the better. Under the leadership of Andrea Horwath, Ontario can recover from the devastating effects of past governments and begin to work for us, the working people of this great province. We need to break the pattern that has been holding us back: moving back and forth from Liberal government to Conservative, going from bad to worse and back again. We need a bold leap to something different: change for the better. Only the New Democrats offer that. I'm enormously proud to represent Ontario's NDP, and to be part of the solution. I hope I can count on your support. In my continuing (and usually failing) goal of remembering to write about things here, instead of just posting to Facebook, I feel I should write something about the student organizing and activism around gun violence in the US. 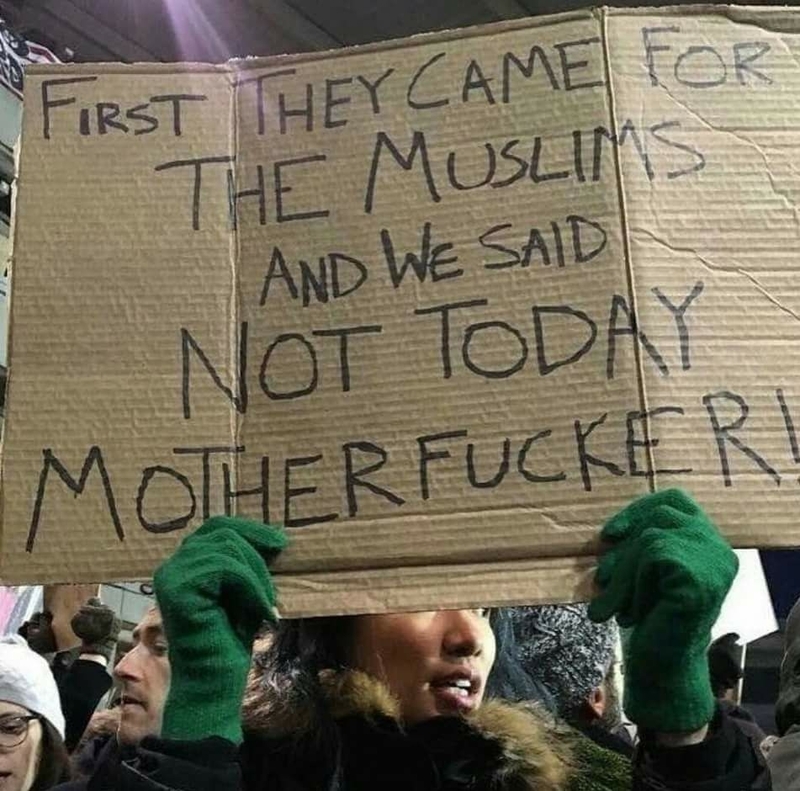 This movement is the greatest thing to happen in the US in as long as I can remember. It stands with the Fight for 15 and Black Lives Matter as the most important movements of our present time. It has all the hallmarks of a true grassroots revolution. - Its spokespeople emerged organically. - It built quickly, because it has tapped into longstanding anger, and it resonates both deeply and broadly. - It is building on a local level to effect broad social change. - It is being organized from the bottom up, as opposed to, for example, the organizing around the election of Barack Obama. - It is using a variety of tools, and it appears to be fluid and agile around using different approaches as needed: walk-outs, public speaking, mainstream media engagement, social media, large-scale public demonstrations, letter writing, lobbying. And perhaps most significantly, it is being built, grown, and led, by young people, the people most affected by gun violence. Students were on the cutting edge of the US civil rights movement in the late 1950s and early 1960s. Students provided the groundswell that ended the US war in Vietnam. Students led the anti-South African apartheid movement in the 1980s. We have reason to hope. All power to these courageous, articulate, determined, beautiful young people. Let's support them in any way we can. Trevon Bosley, age 19, reminds us that gun violence is not only mass shootings. For many, it is everyday life. I've wanted to write about these two books for a long time, but adequately summarizing them is a daunting task. I just want to say to every activist and organizer: READ THESE BOOKS. I don't want to represent the authors' ideas, I want you to read them yourself. No Shortcuts: Organizing for Power in the New Gilded Age by Jane F. McAlevey and The End of Protest: A New Playbook for Revolution by Micah White are both aimed at activists and organizers -- people who already believe in the need for social change and are trying to influence the world in a progressive direction. Both books identify pitfalls and shortcomings in the current ways we approach our activism, and they offer concrete ideas for change, along with theory and philosophy to guide our decisions. Both are beautifully written, powerful, and essential. No Shortcuts focuses on the labour movement, but McAlevey's analysis could apply to any movement. The labour movement is an excellent lens through which to view activism generally, since, if practiced well, it activates people across the political spectrum, and has a direct impact on the everyday reality of people's lives. McAlevey, a long-time organizer and labour educator, identifies three systems of organizing, distinguished by the extent to which the workers themselves create a new reality, that is, worker agency. The Advocacy model, where paid union staff, professional lobbyists, and lawyers work alongside the employer to dictate the terms of employment, is the least effective. Indeed, this model is not only ineffective, it is downright dangerous. It often results in concessions and wage freezes, and even more damaging long-term results. It poisons the very concept of union, teaching workers that unions are just another powerful force benefiting an elite few at the expense of the many. It's the perfect scenario for employers, and unfortunately is the norm in many unions. Turning to the more positive approaches, McAlevey differentiates between Mobilizing and Organizing. In Mobilizing, a group of leaders make decisions and activate the workers to support them. All campaigns depend on some amount of mobilizing, but if the entire campaign is based on a mobilization model, a great potential is lost. The campaign may make some material gains, but it will fail to change the workers' relationship to their employer and their work; it will have failed to challenge the power structure. Any gains made will be superficial and short-term. McAlevey shows that only the Organizing model builds worker agency to make significant, potentially long-term progress. McAlevey didn't invent this method, of course, but she's illuminating it and analyzing it for us -- showing us how it's done and why it works. In Organizing, workers themselves create their own change. Workers make the decisions, learn from their own experiences, and build strength together. Organizing creates massive pressure on the employer, builds allies in the community, and -- most importantly -- creates confident leaders who can then organize others. to the ability of the workers to win for themselves the kinds of contract standards that are life-changing, such as control of their hours and schedules, the right to a quick response to workplace health and safety issues, the right to increased staffing and decreased workload, and the right to meaningful paid sick leave and vacation time. To wage a successful strike, workers must be both organized and active. So the very tools needed to create the strike build the potential for success, in both the short-term and the long-term. McAlevey offers many practical examples of the process of Organizing, such as transparency in bargaining and identifying leaders. These examples are beyond useful -- they are essential. But where No Shortcuts shines brightest, where it is the most useful and the most inspiring, is in the case studies. McAlevey tells five stories -- four successes and one horrible shame. As a union activist, I found the stories of the Chicago Teachers' Union and the lesser-known campaign by workers at Smithfield Foods thrilling. Reading about them, I was filled with that sense of pride and joy that only the people's power can bring. King County, Washington, has a population of two million. Ninety-three percent of its people are city dwellers; most of them live in Seattle. At the time I am writing this, the median household income is $71,175, and the average rent for a two-bedroom house is $1,123 per month. In 2014, there was a successful campaign to increase Seattle's minimum wage to $15 an hour by the year 2022 (by which time, incidentally, that $15 will not be $15; it will be worth less, since Seattle didn't index it to inflation). The story was banner news worldwide in print and broadcast media, and a cause celebre for many liberals. Meanwhile, without the fanfare of a single national headline, another kind of contract in a very different region also introduced a wage of $15 an hour. Bladen County, in southeastern North Carolina, has a population of 35,843. Ninety-one percent of those people live in the countryside; the rest are in the county's few small towns. Thirty-five percent are African American. At the time of writing, the median income is $30,031, and the average rent for a two-bedroom house is $637 per month. In 2008, in the county's tiny town of Tar Heel, 5,000 workers at the Smithfield Foods pork factory voted to form a union with the United Food and Commercial Workers (UFCW). It was the single largest private-sector union victory of the new millennium, and it happened in the South, in the state with the lowest rate of union membership in the entire country: 3 percent. The new, ratified contract not only guaranteed a $15-an-hour wage but also paid sick leave, paid vacation, health care, retirement benefits, overtime pay, guaranteed minimum work hours, job security through a "just cause" provision, and tools to remedy dangerous working conditions. The wage alone far outranks Washington's: given the dollar's buying power in Bladen County, King County workers would have to earn $26.40 an hour to equal it. The story of how these workers organized themselves and achieved these gains is one of the most exciting labour stories I've ever read. It will astonish you. In "Make the Road New York", McAlevey tells the story of serious, strong, and sustained community organizing, not only for labour, but for an improved quality of life for the entire community. For several years now, we've been witnessing the re-emergence of organized labour as a vital force in our society. Inspired by the Fight For 15 fast-food workers, working people are fighting back, gaining public support, and activating themselves in great numbers. McAlevey's book is a road map to more of those victories -- which means it's a road map to a better world. 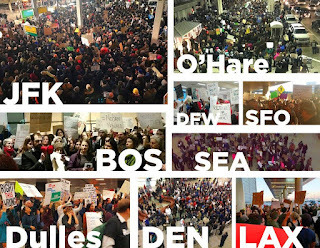 The End of Protest: A New Playbook for Revolution takes a broader view through a very wide lens. Micah White is a creative thinker, an excellent writer, a social theorist, and an activist. He is the co-creator of Occupy Wall Street (although this was not revealed at the time) and the originator of the idea that became the Rolling Jubilee debt forgiveness. He has been a human shield in the West Bank and an astute critic of clicktivism. He was named one of the most influential young thinkers alive today by Esquire magazine. He's a visionary, and you should read his book. The premise of The End of Protest resonated deeply with me. Ever since February 15, 2003 -- the largest public demonstration in human history, which was ignored by mainstream media, and failed to prevent the US invasion of Iraq -- I have been frustrated and dissatisfied with the standard methods of public protest. The disastrous G20 demonstrations in Toronto in 2010 further confirmed my discontent. Holding pens, free-speech zones, kettling, pre-emptive arrests, paid provocateurs, violent infiltrators, mass surveillence -- the ruling class has learned how to effectively neuter public demonstrations. The demos and the responses are predictable. They are theatre. They have symbolic value, they may build solidarity, and they may make us feel good. But they don't sustain movements and they don't create change. There is value in being in the streets, especially when public protest occurs spontaneously. But many activists and organizations seem obsessed with how many people attend any given demonstration, as if a larger head-count somehow correlates with a greater likelihood of change. I've been involved in planning large-scale demos, so I've seen the vast amount of resources they consume. For what? Again, I'm not saying there is no value. But... can't we do better? The End of Protest argues that our methods of protest are outdated, and that in order to be truly effective, we need to "break the script" of protest. We need to create fresh tools. In the first part of the book -- "Today" -- White analyzes Occupy Wall Street, which he calls "a constructive failure". He beautifully articulates what was great about OWS, where it was successful, where and why it failed, and what lessons we can draw from it. He explores why dissent is necessary, and expands into a unified theory of revolution. In the book's second part -- "Yesterday" -- White analyzes protests from the recent past and the very distant past, situating each in his framework. The historic examples past are fascinating -- the massacre at Wounded Knee (1890), the Nika Revolt (532 CE), the Conversion of Constantine (312 CE), and the victory of Arminius (9 CE). In the modern examples, White trains his analysis on Palestinian solidarity, democracy movements in Greece and Spain, and the Rolling Jubilee. In the final section -- "Tomorrow" -- White riffs on what is and may be possible. Very briefly, he offers a vision of a dystopian future, "an eco-fascist nightmare" that is all too easy to imagine. In fact, I found it much easier to visualize that potential reality than White's predictions of a unified, global, progressive revolution -- and it breaks my heart to realize that. But White also reminds us that the future has not been written, and the path to that revolution is unknown. In fact, in White's view, it must be unknown, because we need to invent entirely new tools: "Innovation that breaks the fundamental paradigms of the protest model is the only way forward." White offers eight principles of revolution, realizing there are probably many more, but these eight were derived from his own lived experience. In case you are concerned, White eschews violence, believing that political terrorism is a dead end. He doesn't make a big deal about this, doesn't harp on and on about peaceful protest and a commitment to nonviolence -- a performance leftist activists are expected to make for the mainstream. He merely states, deep into the book, that political terrorism doesn't advance our goals, and we must look elsewhere for solutions. But although we reject militarism and terrorism, the far greater enemy is inertia. Two bits from The End of Protest that I really appreciated are repudiations of both clicktivism and the so-called ladder of engagement. Clicktivism, White writes, encourages people to believe that "political reality can be altered by clicking, sharing, and signing petitions". It creates a false theory of social change, and deepens entrenched complacency. The dominant paradigm of activism is the voluntarist's ladder of engagement. In this model, there are a series of rungs leading from the most insignificant actions to the most revolutionary, and the goal of organizers is to lead people upward through these escalating rungs. This strategy appears to make common sense, but it has a nasty unintended consequence. When taken to its logical conclusion, the ladder of engagement encourages activists to pitch their asks to the lowest rung on the assumption that the majority will feel more comfortable starting at the bottom of the protest ladder, with clicking a link or signing a virtual petition. This is fatal. The majority can sniff out the difference between an authentic ask that is truly dangerous and might get their voices heard and an inauthentic ask that is safe and meaningless. The ladder of engagement is upside down. Activists are judged by what we ask of people. Thus, we must only ask the people to do actions that would genuinely improve the world despite the risks. Rather than pursuing the idea of the ladder of engagement, I live by the minoritarian principle that the edge leads the pack. I've learned a lot about the edge leading the pack through my leadership role with my own local union. Many people told me our members weren't ready to strike. But how would they ever be ready if no one led them to the barricades? Would there be a magical moment when members woke up suddenly organized and ready to walk? And how would we recognize that moment when it came? Our leadership evaluated the situation, assessed the risks, and articulated both risks and potential rewards to our members. After that, democracy ensured that our members were ready, with a 98.7% vote to strike. As our parent says, "Be Bold. Be Brave." Those of us who have a fervor to be bold, brave revolutionaries have an obligation to lead from that edge. I fear that the lessons of The End of Protest may dismissed by the people who most need to contemplate them. White challenges several core beliefs of modern-day activism, and many of us cannot tolerate that kind of challenge. Organizers and activists may read this book, consider, and then reject all or some of White's ideas. But dismissing or ignoring those ideas would be a grave error. If our goal is to create revolutionary change, we owe it to ourselves and the world to read this book and engage with its ideas. Trying to compose my annual Write For Rights post, I thought I would recycle a good one from 2014... only to learn I had already recycled it in 2015! And here it is again -- slightly edited, with new cases linked below. Tomorrow, December 10, is Human Rights Day. The date commemorates the adoption of the Universal Declaration of Human Rights by the United Nations on December 10, 1948, the first document of its kind. Every year on December 10, Amnesty International holds a global letter-writing event: Write For Rights (in Canada). Thousands of people around the world write letters and sign petitions calling for action for victims of human rights abuses, and offering comfort and support to political prisoners. Here are 10 reasons you should participate in Write For Rights. 1. It's easy. Amnesty makes it really easy to participate. Read, type, send. 2. You can do do it from any device. No meetings to attend, no schedule to keep. Just more of something you do all the time anyway: typing. 3. It's free. No need to donate money. The most this will cost you is postage. 4. You'll feel good about yourself. You know that warm buzz you get from helping other people? Get more of it. 6. You can choose what to focus on. Write about an issue in your own country. Write about an issue in your country of origin. Write for children, or for women, or for LGBT people, or for workers, or for environmental activists, or for another issue that you care about. 7. You're busting stereotypes. We supposedly live in a selfish age where all we care about is entertaining ourselves and consuming. Prove them wrong. 8. It works globally. Every fight against injustice begins with someone shining a light in a dark place. Be that light. 9. It works locally. When political prisoners are released, they often attest to the difference letters from strangers made in their lives -- how knowing they were not forgotten helped them survive. 10. You enjoy your own human rights every day. You can use them to help someone who can't. Here are 10 more reasons. They're not cute and cheery. They are why we write. For each, I have linked to the online action. If you go here, you will find links to more information and instructions for a more significant action. 1. Homophobic murder without consequences in Bangladesh. 2. Torture and a life sentence for a Facebook post critical of government policies in Chad. 3. Beatings and other violent harassment of a defender of evicted people in China. 4. Imprisoned for searching for her husband, who was "disappeared" for political opposition in Egypt. 5. Humiliated and prohibited from gender expression in Finland. 6. Arrested and jailed for defending human rights in Turkey. 7. Violence and threats against people who defend land and water from private development in Honduras. 8. Harassment and arrests of peaceful protesters in Israel/Occupied Palestine. 9. Intimidation and harassment for speaking out about murder by police in Jamaica. 10. Arrested and jailed for defending the rainforest [video] in Madagascar. It doesn't take much time. It's not difficult to do. And it works. Spend 15 minutes of your day writing a letter or two. Write like a life depends on it. The deadline to join the NDP and vote for Niki Ashton is August 17. Last night I saw something that shocked me, and today I did something I've never done before: I joined a political party. And I did it so I can cast my vote for Niki Ashton for leader of the federal NDP. I worked on Saturday, and was very busy, with zero time to check headlines or social media. After work, I was watching the Red Sox trounce the Yankees and idly tapping on my tablet, when I was stopped cold. drove a car into the crowd. I am not easily shocked. Perhaps I think I am shock-proof. But the spectacle of an angry mob carrying torches and Nazi banners, openly attacking a group of peaceful protesters, hit me like a gut punch. I've been writing about the collapse of the US empire, the US becoming a third world country, the fascist shift, and so on, for a long time. It's not like the rise of the white supremacists came out of nowhere. And it's no surprise that police and local government allowed this to happen. So on the level of "this happened" -- no, it's not a shock. But emotionally, psychologically, even physically, the force and weight of it hit me. Men holding Nazi banners, chanting about Jews and Muslims. A peaceful protester and two others killed. Right now, in the country of my birth. And from the White House, silence. and attacked them with pepper spray and torches. I have no illusions about the priorities of Canada's oil-rich federal government and the shirtless Prime Minister. But I imagined they had at least the veneer of humanity. Nope. It's more important to please the US than it is to speak out against white supremacy and Nazism. They might be only empty words, but Trudeau won't even speak them. I watched the spectacle in Charlottesville, Virginia, and I felt sick. Not a figurative "this makes me sick," but a literal churning stomach, cold chills of fear, tears in my eyes. Wondering, What's next? Wondering, where are hundreds of thousands of Americans in the streets, shouting a huge, loud, collective NO! ? "tiki torches". I'm not laughing. Despite the very justified focus on the current POTUS, the US has been moving in this direction for a long time. The spectacles we saw at Trump rallies did not materialize overnight, without context. An oligarchy completely unresponsive to the needs of its people, an economy based on the transfer of wealth from poorest to richest, no meaningful work, no social system for education, housing, and, until recently, health care -- a populace armed to the teeth, like its government -- xenophobic scapegoating -- and the legacy of racism that has never stopped, never even taken a breather: all this gave birth to what we're seeing now. I've seen some people on Facebook imagining (fantasizing) that if Hillary Clinton was POTUS, this might not be happening. One could just as easily fantasize that it would have happened the moment she was elected. The powderkeg would still exist, and the catalyst wouldn't be far behind. The Democrats certainly had no plans to reverse the course of the last 30 years. The truth is, in the US, there was no choice. There's the party of cats or the party of cats. Of the many things that attracted me to Canada, one of the strongest was the presence of an actual, viable third party, a party that more closely represented my values. But in recent years, the NDP has been disappointing, to put it mildly. The party was using the same playbook that ruined the Democrats, moving farther and farther to the right, hoping to capture the so-called centre -- a strategy sure to lose before it even gets started. It's been depressing. My activism has never been around party politics and elections, and the NDP's rightward shift pushed me even further away. But people's movements have surged in recent years. 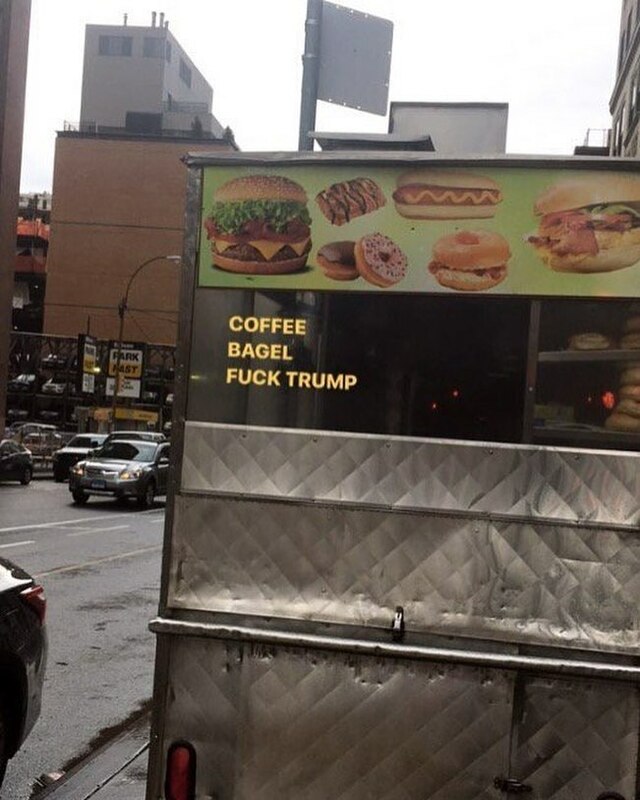 People are fighting back. Occupy, Idle No More, Black Lives Matter, The Fight for Fifteen -- activism around climate change -- the popularity of Bernie Sanders' platform -- union fightbacks -- all taken together, have created a groundswell. A context where real change might suceed. Where we might have hope. And right now, in Canada, we do have hope. At last, there is someone running for NDP leadership who wants to recall the party to its roots: Niki Ashton. I am running because I believe we need a clear vision. We need fundamental change. We need to build the NDP as a movement for social, environmental, and economic justice. The way forward for the NDP is clear. We must work tirelessly for true reconciliation with Indigenous people, for the protection and preservation of our environment, for working Canadians, for women, for people living with disabilities, for racial justice, for justice for transgender and non-binary people, for LGBTQ+ justice, and for the right to be who you are, and to love who you want to love. We must build a political movement that connects with the many Indigenous, racialized, student, environmental and labour movements that are driving progressive political change. We must move ahead with a positive agenda that tackles rising inequality and climate change. We must build a movement that has the strength of the people at its core. We must unite, and build people-centred policy as our foundation. As a party, we need to embrace the thousands of activists across this country who have paved the way for our movement. Their fight is our fight, and together, we are stronger. I want people to know that we are in their corner, with every decision we make. I want Canadians to feel at home in the NDP because they see themselves reflected in the values and principles we fight for every single day. It is time to be bold. It is time to create the Canada we know is possible — we must accept nothing less. It is time to address inequality in a real way, with real action. I know that together, we can build a movement. Today I realized that I must help Ashton build that movement. I need to exercise whatever power I have, to vote for Ashton for leader and to urge others to do the same. August 17 is the last day to join the NDP in time to vote in the leadership election. You can do so here, from Ashton's own page, to show that you joined in order to support her. Thanks to all my activist friends whose words and actions led me to this change! Solidarity always. The 2017 CUPE Ontario Library Workers Conference was a very special event for the Mississauga Library Workers Union. Over the course of two days, our 2016 strike and the great gains we made for our members were celebrated from the podium again and again. In the same way, the tremendous perseverance and solidarity shown by the Essex County Library Workers -- on strike for a stunning eight months -- were noted, applauded, cheered, and celebrated, again and again. For the 1989 executive board, it was a joyous event. The theme of this year's conference was Disrupt and Transform -- which is exactly what our strikes did. They transformed our union, our relationship with our employer, and ourselves. We were welcomed by CUPE Ontario Library Chair Maureen O'Reilly, who is president of Local 4948, Toronto Public Library Workers, and by Chad Goebel, Vice President of Windsor District CUPE Council. Amanda Meloche, President of the Windsor Public Library Workers Union, noted: “It's not just Essex and Mississauga that have Library Warriors. We're all Library Warriors!” Very true! Keynote speaker Desmond Cole began by talking about his love for libraries, and how, when he was growing up, the local library was his second home. He remembers carrying a book bag, and his mother's rule that he could borrow as many books as fit in the bag; every week the bag would be overflowing. For many conference participants, this was the first time they had heard Desmond speak, and most were entranced. He's a truly engaging speaker with a powerful message. Desmond has been instrumental in shining a light on racism in Canada, especially racist policing practices. He said he was touched and very proud that his article in Toronto Life magazine -- The Skin I'm In -- was featured in our conference book. Desmond talked about how collective action can have a direct impact -- how it changes our lives and our society. Recently Desmond called a ministry office to urge them to stop a deportation. A family was being broken up, and a woman, eight months pregnant, was being forced to risk her health by flying. The ministry representative said to Desmond, "What makes you think you speak for Canadians?" Within minutes, Desmond was on Twitter, reaching out to the community, asking supporters -- for whom he does speak -- to call the ministry. Result: the woman was not deported. The family remained intact. When we are organized and mobilized, we can disrupt the status quo, and transform the world. Lori Wightman, head of the Essex County Library Workers, and I, as president of CUPE 1989, each made presentations about our locals' strikes. Lori talked about the huge community support their union built, how they faced down the Essex Council, and how the devious, union-busting tactics of the Council will be remembered at election time. 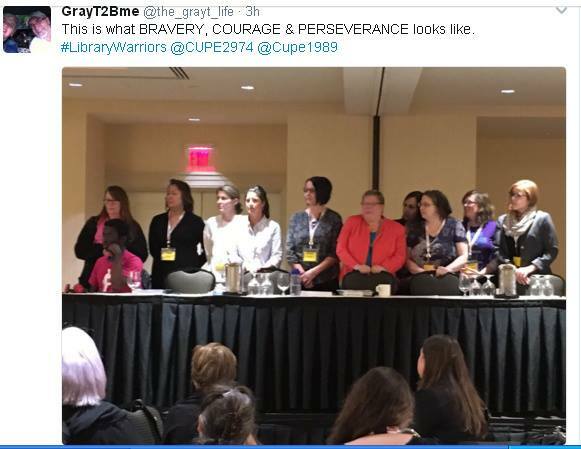 It was no surprise, later in the conference, when Lori was elected to the CUPE Ontario Library Workers Committee. I look forward to working with her! I talked about how we built member engagement, strengthened our labour-management meetings, and took a new approach at the bargaining table. These factors, working together synergistically, paved the way for our successful strike. I also listed the great gains we made. There are the tangible gains, like bringing our pages from slightly more than minimum wage to $15/hour in one leap and preventing our part-timers from being forced to work every Saturday. And there are many intangible gains, such as the strength and solidarity we built, and the confidence and courage our members gained when they found their voices, stood up, and fought back. We also screened our awesome strike video! If you've never seen it -- or if you haven't seen it in a while -- why not watch it now? Chris Taylor, President of Unifor Local 200, talked about the historic Windsor Ford Strike of 1945, which led directly to the Rand Formula. Chris emphasized -- he warned us -- about the so-called "Right to Work" legislation that has spread through the United States, leaving depressed wages and increased poverty in its wake. If Tim Hudak's Progressive Conservative Party had won the last provincial election, our ability to run our unions could have been destroyed. Hudak was defeated through the mobilization of the Canadian labour movement. Chris' talk was an excellent reminder that we must always be vigilant. Our rights don't protect themselves. A little library humour -- and a great honour. Local reports are always a highlight of the conference. Hearing about the struggles and successes of other library unions renews our commitment and bolsters our strength. We are all dealing with the same issues, but our contracts vary widely. By sharing information, we all grow stronger at the bargaining table. It was my great honour to introduce Fred Hahn, President of CUPE Ontario. I recalled Fred's tireless support during our strike, and how he helped bring the City of Mississauga back to the bargaining table, while still respecting our local's autonomy and supporting our demands. Fred, I said, is the embodiment of why we call each other brother and sister. Fred's talk was typically moving. He talked about libraries as collectives -- people working together to bring our shared, public resources to people who need them. He reminded us of the silver linings of a strike -- the bonds it creates, and yes, the fun we had! And he noted that the record number of strikes throughout Ontario in the past year made him proud. That's how you know Fred is a true unionist. Fred reminded us that there’s nothing wrong with being aggressive when defending the rights of our members: when you're on the right side of the question, you are right to keep fighting! Both Fred and Candace Rennick, Secretary-Treasurer of CUPE Ontario, emphasized the need for solidarity with other striking locals. Right now, workers from a Children's Aid Society are locked out by their employer, and the members of the Canadian Hearing Society workers' union are fighting harsh concessions, after being without a contract for four long years. I join Fred and Candace in urging you to support these locals however you can: there's information here. At one point during the Conference, members from the Mississauga and Essex County libraries were called on stage to be honoured. 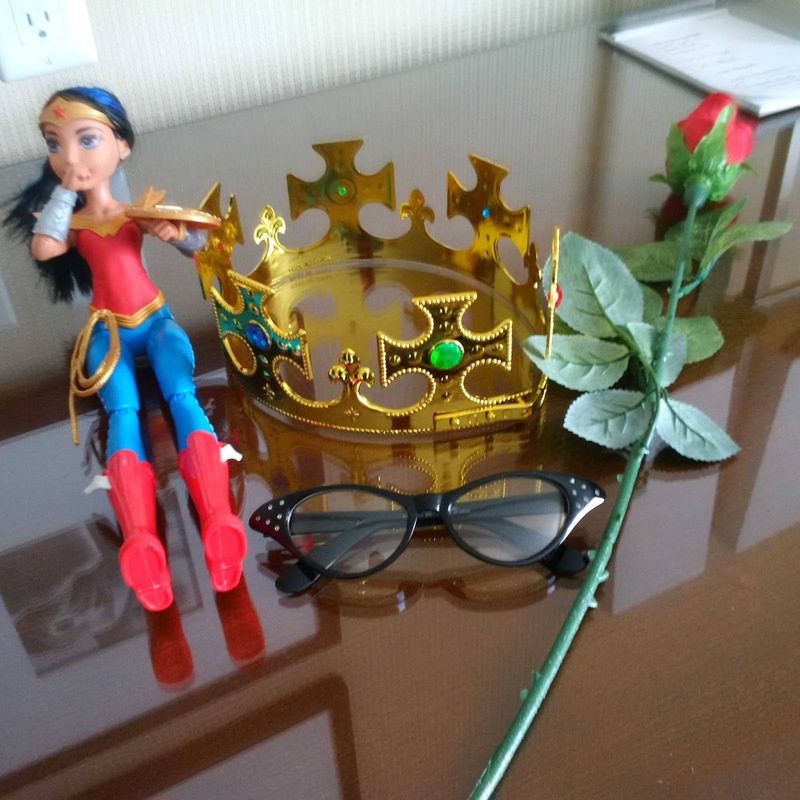 In a bit of library humour, Lori Wightman and I were given some gifts, including a Wonder Woman action figure and a play crown. It was very funny -- and very touching. The CUPE 1989 Executive Board thanks our members for giving us the opportunity to attend this excellent conference. We know our union will benefit from it in many ways. Like all good people, I am horrified by recent developments in the US, and like everyone who has been paying attention, not surprised. I take hope from the immediate and powerful resistance that has been set in motion. But also at the resistance, I am angry, too. What took you so long? Let's hope it's not too late. Here are a few things you can do to fight back. 1. Donate to the American Civil Liberties Union. For nearly 100 years, the ACLU has been fighting for the civil rights of people marginalized or targeted by the dominant culture. These are the people best equipped to fight back -- the best and the brightest of the resistance. Even a small one-time or monthly donation can make a difference. 2. Canadians, sign a petition calling on Prime Minister Trudeau and Minister of Immigration, Refugees and Citizenship Ahmed Hussen, demanding that they repeal the so-called Safe Third Country Agreement with the United States, which would allow Canada to welcome people fleeing violence from Muslim-majority countries and/or deportation by the United States. You've probably seen Trudeau's tweet saying that Canada welcomes those fleeing persecution "regardless of faith". Here's an opportunity for Trudeau to make good on that statement. Currently, if an asylum seeker residing in the US tried to enter Canada to escape deportation, Canada would turn them away, based on the "Safe Third Country Agreement". Read more about it here. Please sign the petition and ask your contacts to do the same. 3. Call or email your MP and ask them to support the above. Say it is a matter of great importance to you, because this is the Canada you want to live in. You can find your MP here by postal code. 4. Attend a demonstration against Trump's order and in solidarity with those it targets. In the Toronto area, it's this Saturday, February 4, 12:30-2:30 pm, outside the US Consulate on University Avenue. In cities across the US and Canada, it will not be difficult to find a demo. When you find this community, keep in touch. 5. Send a letter of support to a mosque or Islamic cultural group in your community. A simple act of solidarity goes a long way. 7. Write a letter to your local media outlet. These still matter. Keep it short and it's more likely to be published. 8. Pledge to register. If Muslims are ever required to register with the government, be prepared to register in solidarity. If you have doubts or fears about this, now is the time to discuss with your family and friends. Vow to yourself and to your community that you will do this. It would be very fitting if the first, say, 10,000 registrants were Jewish. Lyft, Uber's principal competitor, has pledged to donate $1 million to the ACLU. I freely admit that this is another excuse to ask people to #DeleteUber and never use them again. Their abhorrent labour practises drag precarious work into new depths. More info here. 10. Check out Bustle. They're full of great ideas. And a bonus: 11. Don't allow yourself to get overwhelmed. Each one, reach one. Take a small action. Then another. Eat, sleep, repeat. December 10 is International Human Rights Day. The date commemorates the adoption of the Universal Declaration of Human Rights in 1948, the first global human rights document. 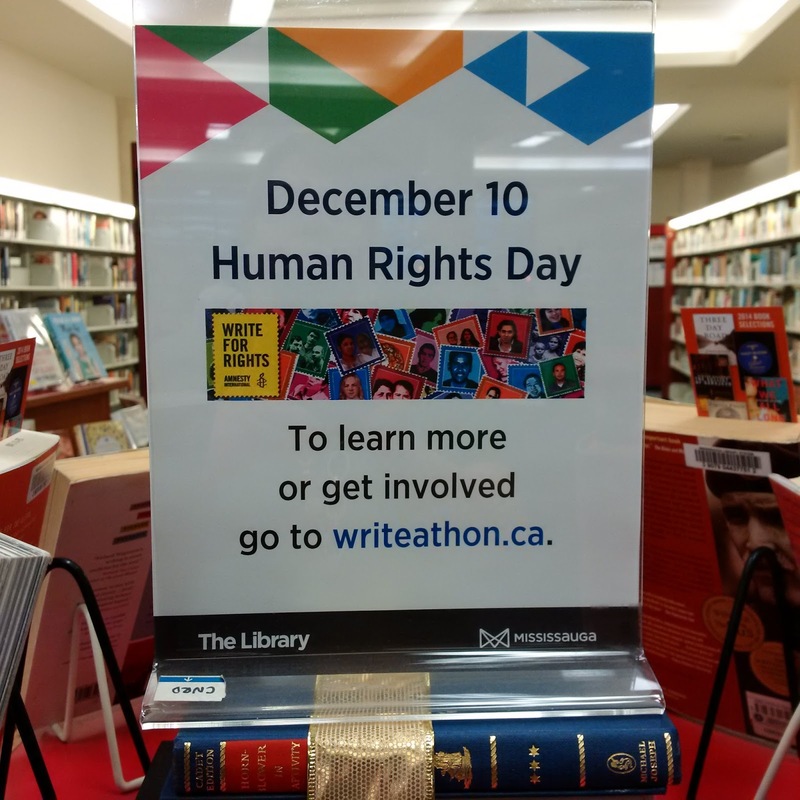 Every year on December 10, Amnesty International Canada holds Write For Rights. All over the country, Canadians use our own human rights to support people who don’t have them. We write letters in support of prisoners of conscience, and letters to prisoners to let them know they have not been forgotten. It’s a powerful experience, and very easy to do. This year I will be writing letters, and I've invited our library system to join me. 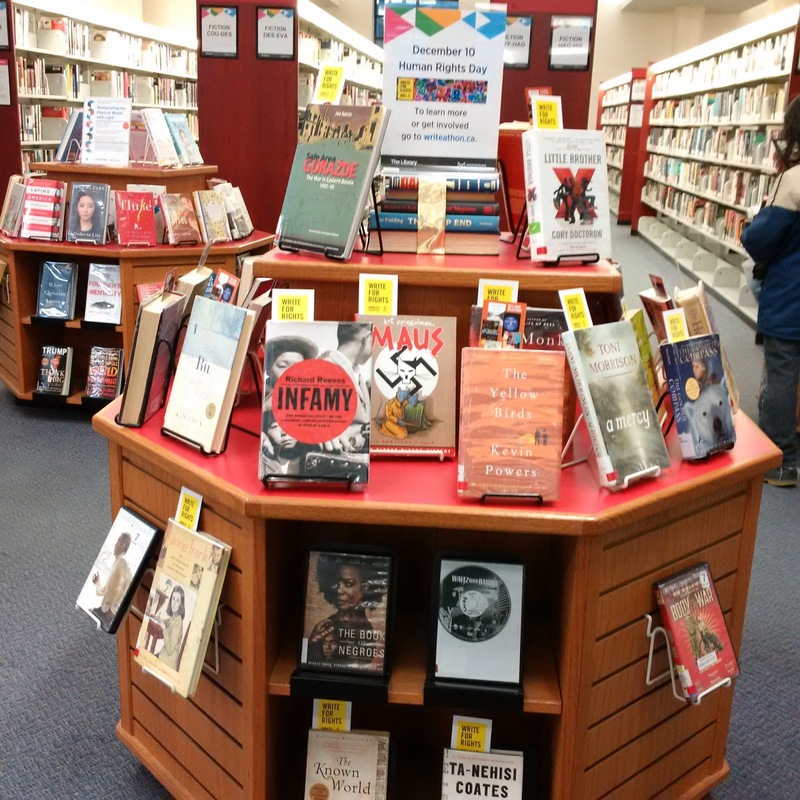 Library staff are always looking for display ideas. I compiled a list of materials, sent it out to all staff, and suggested a human rights themed display. Several people were interested, and I sent them each a poster template and Write For Rights bookmarks that I got from Amnesty. If you create library displays, I invite you to try this! 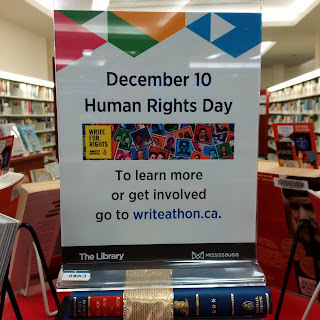 You can share photos of your displays on social media with the hashtag #Write4Rights. Here's my display, and my list. I'm sure everyone reading this can think of more titles. My list was limited to what can be found in our library system. I hope it inspires you to add some of your own. And to Write For Rights on December 10. 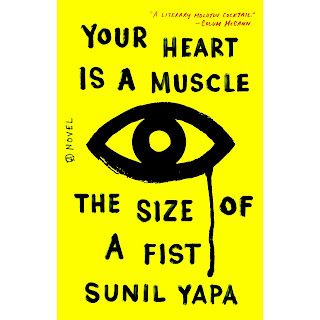 If only Your Heart Is a Muscle the Size of a Fist could be required reading. Everyone who has ever scoffed cynically at protesters. Everyone who has ever seen a mainstream news report showing a burning car, over and over and over, but not showing tens of thousands of peaceful protesters, and looked no deeper. Everyone who has ever denied police violence against peaceful, law-abiding citizens, or assumed that police violence is necessary to maintain order at protests. Every one of these people should read this book. 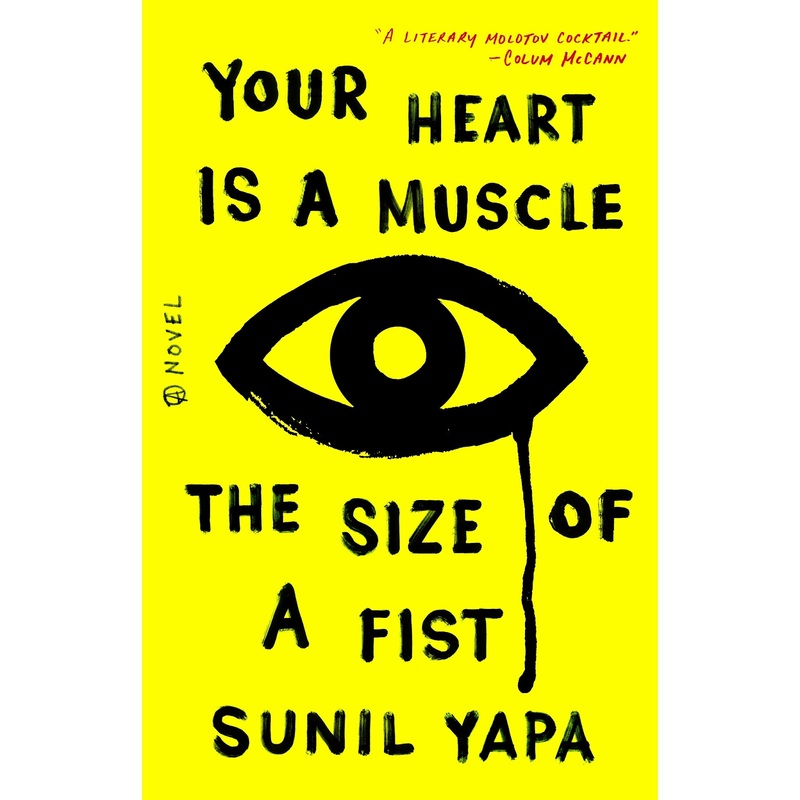 In this impressive debut novel, author Sunil Yapa takes us into the so-called "Battle of Seattle" -- the protests against the World Trade Organization summit in that city in 1999. But the time and place could be any of the G8 or G10 or G20 summits -- any of the meetings where the ruling elite side-step the democratic process as they carve up the world for global capitalism. The reader sees the mass protests through the eyes of many different characters: activists, cops, delegates, restless world travelers. People in grief, people with secrets, people searching. Activists who have different motivations and different levels of experience and commitment. Cops who care deeply about their city and its people, cops who care about power and revenge. A delegate who believes the WTO is the answer to world hunger and poverty, and wants his third-world country at the table. The action takes place in a single day, and by the time the day is over, every character will be profoundly changed by the experience. The politics of the book are obvious, but woven naturally into the fabric of the story. Most of the characters feel fully realized; rarely is anyone a billboard for an idea. The author does an especially excellent job of articulating how it feels to join a mass protest -- the deep love, solidarity, and sense of belonging it can create. He also portrays police violence fully and in horrifying detail -- a story that needs to be told. My required-reading daydream dissolves in the light of day. The people who most need to read this book won't read it, and if they did, wouldn't believe it. They would accuse the author of fabricating and exaggerating. For better and worse, The Heart is a Muscle the Size of a Fist is authentic, and genuine, and true. An excellent read for people who care. After our members returned to work, but while I was still on staycation, I attended a community event organized by labour activists in Peel Region. It was a beautifully planned event, with music and food and lots of opportunities for participation. Each of the three keynote speakers was brilliant and revelatory. First, Gurjeet Sran, an economist from York University, blasted through the myth that raising the minimum wage hurts the economy. (In fact, raising the minimum wage actually helps the economy.) Sran also spoke about the pressing need to raise the corporate tax rate. Even though most people in the room were familiar with these arguments, it's always good to brush up on facts and strengthen your knowledge. Next, Monica Avero spoke about the fight for justice for workers at Toronto Pearson Airport. Avero is a Unifor member and belongs to the Toronto Airport Workers’ Council, an alliance of unionized and non-union airport workers. The conditions at Pearson -- Canada's largest workplace -- are nothing short of shocking. Minimum wage pay, constant on-call hours, inhumane shift scheduling, and no guarantee of hours are the norm. Wage theft abounds. Workers frequently sleep in the airport for a few hours in between shifts, not leaving the airport for days at a time in order to get more shifts. If a worker can stick it out long enough to earn more than $13/hour, their contract is terminated. The work is either offered to someone else, or the same person can apply for the job at an even lower wage. Last year, hundreds of workers in the airport's refuelling, wheelchair assistance, and de-icing services were laid off and forced to reapply for jobs at much lower pay rates. At least 200 of these workers were never rehired. The previous year, parking attendants were targeted. Avero herself has been working at Pearson for 18 years; she still earns minimum wage. Welcome to the world of deregulation and privatization. If the conditions at Pearson are shocking, the conditions for temp workers around Ontario are off the charts. Navi Aujla, a graduate student, followed in Barbara Ehrenreich's footsteps, working for temp agencies in the Toronto area. The agencies employ mainly new immigrants from racialized communities, and mostly women. As a rule, they pay less than minimum wage, expect round-the-clock availability, and are in constant violation of almost every clause in the Employment Standards Act. Many major companies use agency workers for the majority of their workforce. The agencies are completely unregulated, and what regulations there are, are not enforced. After the main speakers, a member of the audience took the mic to talk about his situation. A Somali man, he was a successful lawyer in his home country. In Canada, his degree was not recognized (an extremely common situation), so he went back to school and became a qualified accountant. He sent his resume to 500 accounting firms and did not receive as much as a single phone call. Why would that be? His name is Abdullahi Barre, and this was in early 2002. Barre took many different jobs, earning whatever wage he could. After many years, he found work as a parking attendant at Pearson Airport, and worked his way up to $14/hour. . . until everyone was fired and rehired at $11.25/hour. That's when he joined the Workers Action Centre and became active in working for change. With the event just days after CUPE 1989's ratification vote, the organizers asked me to speak as well. It was exciting to report on a win, and to talk about how our strike energized and activated our members. But the best part of the event, for me, was that two random 1989 members attended, on their own -- and one even spoke a bit, during the open mic portion. 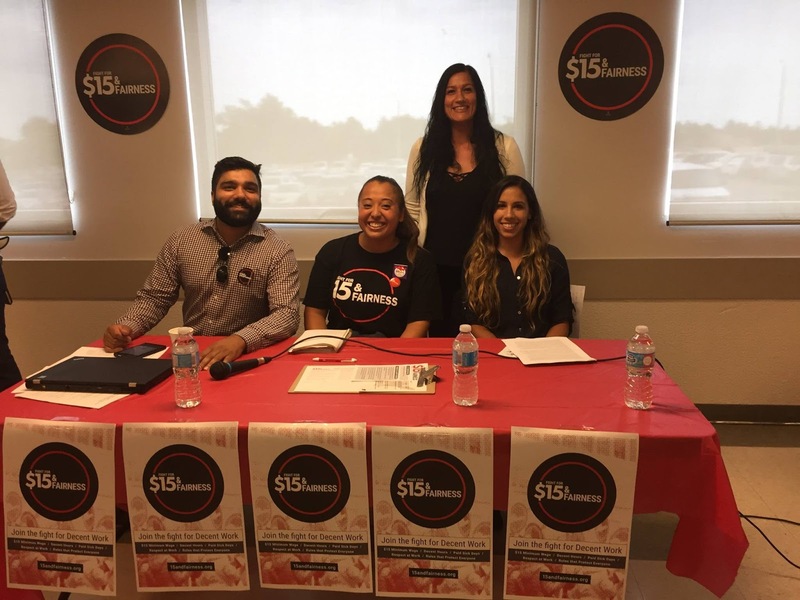 I don't know if either of these members had ever attended a union meeting before, and here they were at a community organizing event in Brampton. That might be the biggest win of all. After CUPE 1989 ratified our new contract, I said I would write about the intangible gains we made through our strike, the kind that aren't written in the collective agreement. I've heard labour activists say that strikes are a "transformative experience" -- a life-changing event -- and now I know why. Standing up for ourselves, asserting our own rights, is a crucial part of every person's development. But learning how to stand up collectively is a different level of power. 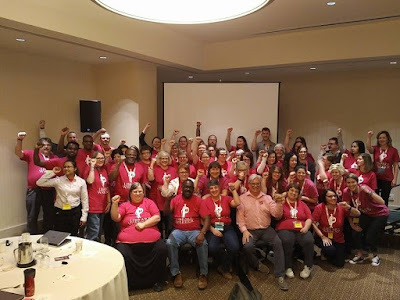 For many of our members, the strike was their first time seeing themselves as part of something larger than themselves -- seeing our union not just as 400 library workers who happen to work for the same employer, but as part of CUPE, and part of the labour movement itself. Striking together brought so much unity and solidarity among our members, so much goodwill and love and caring. Of course there were some complaints and some finger-pointing. Nothing is ever 100% -- even our ratification vote was only 99%! But the huge majority of our members were supportive and caring -- and determined. At work, we are full-time and part-time, we are pages, librarians, library assistants, couriers, cataloguers. But on the line, we were one: we were 1989. I could go on and on about this -- I often do! -- but I'd rather let our members speak in their own words. These are quotes from emails and from our closed discussion group on Facebook. Although I am quoting each anonymously, these all are actual quotes from our members. And from most of these, I've removed effusive thanks to the leaders and the bargaining team! The journey we all were on for three weeks was enlightening, because now we all know that striking is not easy, but we made friends along the way. We had a unity, a togetherness, instead of the divisions between part-timers and full-timers that some of us thought might happen. It wasn't all about the money but also the principle of the matter -- fairness, equality, respect, being valued. What I learned after I went back to work was how much our customers really cared and loved us. I heard "Thank God you are all back!" "I really miss you guys! ", "You're a sight for sore eyes!" It was a lot of sweating, walking, with moments of happiness and despair, but for a good cause and I would do it again. We got lots of "welcome back" greetings and warm feelings when we reopened yesterday, as well as some unexpected ire from patrons angry about the raw deal the City had offered us. Seems like some regulars were letter writing (in our favour) during the strike! Later we received two lovely pictures from little kids welcoming us back as only little kids can. Proof that we make a difference. We matter to people! There comes a time in your life when you have to take a stand. Fight for what is right. Fight for "the greater good" and not just think about yourself. For me, this strike was my time. I will never pass by another strike and think that a quick honk is enough support. I will always stop to ask if there is anything I can do to help. Water, snacks, words of encouragement. Make calls. Walk the line with them. Whatever I can do to make a difference no matter how small. As much as it's not fun to be forced to strike by the employer, I have grown through this experience and wouldn't trade it for anything. 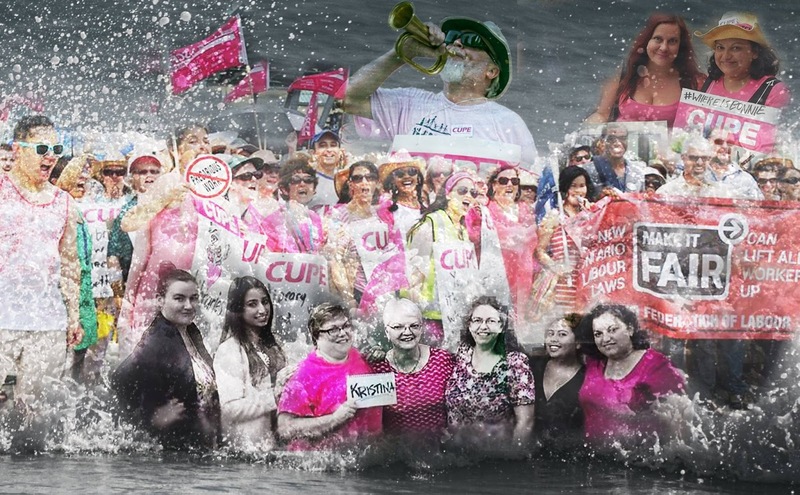 Celebration Square will look empty and sad without all the pink-wearing ladies and gents. It wasn't easy, and I am happy that strike is over, and we will go back to do what we love with all our passion. But still, I will miss our togetherness and unity and friendship and feeling that we are doing something very important, that we are changing Mississauga Library System forever, that we have a very strong voice and determination to do what is right. This is even a historic moment because this was the first time that our library went on strike! Solidarity and love to all of you. I will probably retire next year, but I feel so good about what we all just did, leaving our union in such better condition, proud of ourselves, no longer afraid to strike. I am so glad I had a small part in this. I am so glad that I got to experience a "kinder gentler strike" and to witness solidarity in action. 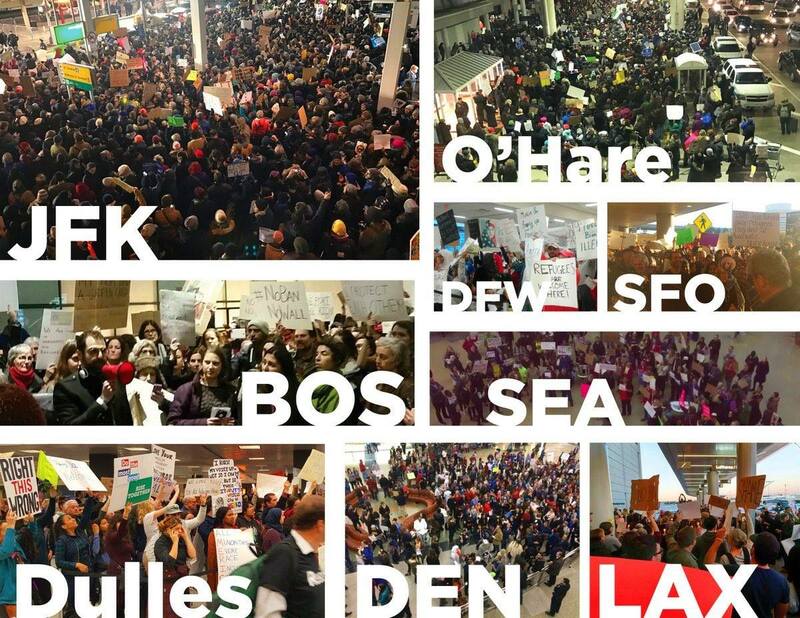 I still can't believe the unity the strike created. I admit feeling a little let down once the picketing ended, knowing that I wouldn't be seeing so many of my colleagues daily. It was way better than any staff appreciation or team-building exercise our employer could come up with. The caring about people, checking up on one another, lifting morale when one of us was having a tough day, making sure colleagues were staying hydrated and being safe on hot, hot days. We have all changed as co-workers. People I used to pass in the building with a smile and hello now take time to stop for a quick chat. I know for myself, I will never look at striking workers the same. I always used to honk when driving past a strike and even dropped off coffee and Timbits when the teachers were out, but now I will go out of my way to drop things off to the picket lines and find time to walk with picketers. I will tell them to stay strong and they will look back on this time fondly. I know I will! My first day on the strike, I was a little uncertain as many probably were. Within 15 minutes, up went the flag, someone handed me a sheet of chants. "Be a rebel," she said. And so I was. My favourite part was blocking the executive garage, and chanting at the corner of Burnhamthorpe. Apparently the city received many complaints about the noise. I met the most wonderful people and the kindness of strangers. Bringing water and freezies and honking. We really had a lot of public support. I learned so much and wouldn't change those three weeks for anything. Returning to work we realized the public was totally with us. So happy to see us back. I find it funny they were more appreciative of our return from the strike than when we were closed for 18 months [for renovations]. Many of our customers read between the lines of City's press. I will never pass a picket line again without honking or stopping to see if they need anything. Another thought I had mid point of the strike was: it wasn't us vs. them, it was US FOR US. Let me tell you about returning to work at the Lorne Park branch. Every person that came through our doors said, "Welcome back, we missed you." Of course we told them we missed them also. Lots of hugs from regulars. Then patrons started bringing in treats. A large fruit tray from one, and homemade, still-warm banana muffins. We were missed as much as we missed them. I did miss them, but I wouldn't have traded our three weeks together for anything. Connecting with old friends and making new friends. Together, fighting for fairness. All reports about our return were positive. Customers brought staff cookies, someone brought a potted plant! Everyone was saying, "Welcome back! We missed you." Customers asked, "Are you happy, did it work out for you?" I have not heard one report of a negative comment from our customers. Today was a really interesting time. Standing up for worker's rights at the library was a unifying experience. It was really encouraging to hear so many commuters honk their horn in support! I can't believe how many caring and talented people work for the library. There are too many to name individually, but I see at least one of them being brilliant every single day. It stuns me that our Employer can be so willfully disrespectful to those who give so much of themselves seemingly as naturally as they breathe air. It's ridiculous how our Employer has turned so many of its best and brightest against itself. There are incredibly dynamic library workers, and often it's these very folks who are channeling their boundless energies and exceptional levels of commitment into keeping our Union strong while standing up to the very organization they give their proverbial blood, sweat and tears to every day. I love how united we are. We have 20+ year veterans picketing with fresh-faced newcomers. Librarians and senior librarians with couriers and technical services processors. Full-timers, part-time part-timers and pages. Everybody sounds passionate, committed, and fed up with always being treated as an afterthought. Also, in my role, I get to more branches and departments than most, and every day I see the great things that we do! It really is impressive how we've come together across all job classifications. That alone shows how badly our Employer has screwed things up: EVERYBODY has had enough! I didn't realize how big an impact a strike can make until I heard comments from our supporters. Kinda like being a part of something bigger than oneself. I have never felt such a deep sense of belonging. I am so proud!!!! I'm falling in love with my Union!! I am seeing so much of the best that people can be these last few days (ha ha...with some exceptions, of course, but I tend to ignore those parts). Really, I am in awe! Thank you and the rest of the team for your strength and perseverance! I support our union! Goodbye 0.5% and minimum wage! We will not blame our union whether we achieve our aims or not. Because: no fight, no hope at all!!! I've been a library employee (and union member) for almost 30 years. In that time, we've come close to striking on two occasions (one of them within a hair's breadth) but we've always backed off. Why? First, fear; second, a na?ve belief that if we were “reasonable” our employer would recognize this and reward us “the next time”. This “next time” never came, so we drew a line in the sand—and our employer hasn't just crossed it, they've obliterated it with their mean-spirited and insulting offer. I'm sure they did this because they assumed, as in past years, that we would back off. Well, the chickens have come home to roost -- only we're not chickens. We're taking a long-overdue stand against the erosion of our standard of living. I've spoken with a number of people on the picket line and haven't heard one word of dissent. I wonder if the City realizes that everything they've said and done thus far has only galvanized support for the strike? They will not break us. We all stand together. This letter [from the library director] is an insidious attempt to divide us; its aim is to plant doubt in the minds of the Union members, weaken our trust and ultimately sap the vigour, commitment and passion that Union members feel right now ( and which [the director] and the other senior managers can witness so vividly from their library offices when they observe us out on Celebration Square). It must be rankling some of them immensely to see us all together so strong and committed. A cliché but true: divide and conquer. This is what she is trying to do to us. It is shameful that she is resorting to this tactic and indeed an insult to our intelligence; it is once again treating us as if we are children. Please know that I stand by you and the rest of the Union leaders. I have not yet received this letter in the mail from Rose. When I do, I will follow up as you suggest (send her a simple, polite response that I stand with my union). I trust that the rest of our Union membership will do the same. Tsk tsk tsk, don't the employers know their attempts to divide us backfires? It's amazing how loud librarians can get. Today I'll test my hearing. But so far so good. I think it survived yesterday. Sending positive thoughts/vibes/prayers to the bargaining team this week. Go get them!!! Before we went on strike, I already had a bit of activism experience . . . . Now I'm involved in a different type of activism (our Union strike) and it's fascinating to see where the two types of activism share common ground: ultimately both are profoundly powerful agents for positive change and deeply life-changing for the activists. I'm sure all of our CUPE Union members who`re working so hard together in this current struggle with the City feel this. Yes! We need to persevere and support each other and stand up for the fairness of this strike. I envision our strike also helping other struggling workers in the process. I, for one, am willing to be out on strike for however long it takes; you can count on me. I believe (as you do) that if we keep it up, we WILL prevail. I've worked for the Mississauga Library System for over two decades and never at any time had any illusion about the employer-employee relationship. It feels very good to finally have a strong, truly committed Union leadership to inspire library union members to stand up to the City, make it accountable for its actions and demand a fair contract for library staff, a contract that respects good working conditions and a just, equitable remuneration for all levels of staff. Alongside this it's wonderful to see the strength and friendship among library staff as we unite together in this strike. Also wonderful to see the community support we're receiving from so many of our customers; truly heartwarming! Not to mention the support and encouragement our Union is receiving from so many other unions and labour organizations. I am not at all surprised at the behaviour for the City, having worked the library/City for 42 years, this is what I have seen and known for a long time. They have taken advantage of the library staff because we were seen as weak and as we continued to back down at the last minute when a strike was so close it seemed to confirm that. Going on strike is a very difficult thing to do especially for a group who make such low wages, therefore making it very hard to have money in the bank to get you through a strike -- and management knows that and uses that. I feel the City would not and do not treat or feel the same why about the other City Unions that are mostly dominated by men. Your words say it so clearly and I do hope all of library union members are able to hang in there. This is a very hard fight against an unfeeling or caring employer. We are with you and the bargaining team. Good luck to you and the bargaining team. I wish the city would realize what a dedicated crew we (the library workers) are. To strike in summer heat and not falter. It must say something about us as a group. One thing about this strike. You can meet staff you don't usually work with and catch up with staff that you do. Whether they be your branch or another. I appreciate seeing the extra support we are getting. 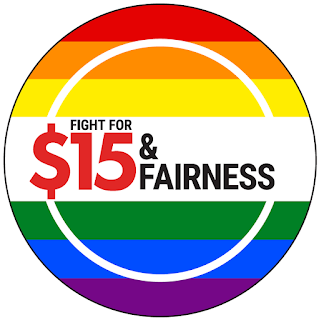 The Fight for 15 Fairness, Maureen O'Reilly, Fred Hahn, so many others. Yup, this is bigger then just us. I would love to see minimum raised to 15 across the province. I can't believe it! This is so wonderful! I am so proud to work with such amazing, strong, dedicated and compassionate people. Congratulations to everyone for a fight well fought! I will cherish my wonderful memories of picketing, rallies, friendship, unity. I will definitely miss walking and talking to everyone as well! I will miss our togetherness and preserverance, I will always remember this bonding experience! Love you guys! 18 days ago, my sisters and brothers of CUPE 1989 set out on a journey to show our employer that we were fed up with our working conditions. That we would no longer stand for these unfair working condition. This strike has taught me many things (some not so good, but let's focus on the positive); there are so many amazing people that work in our library system, the support, the SOLIDARITY. The support of the public and other unions in this fight was unbelievable. I hope that we never have to experience this again, but it is now a memory I will cherish, better than any staff appreciation our employer will ever put on for us. I was definitely feeling the stress this past week, but everyone was so supportive and I'm so proud of what we've accomplished together. I hope that our fight will help others fight for what's fair and help end precarious work. I say all this still not knowing what the deal will be, but I trust that our bargaining team would not settle for anything less than we deserve. I don't know about you, but I'm celebrating this weekend! Let's carry this hope, loyalty and friendship forward into our workplace and stay respectful and kind to all of our friends who fought this battle and carried the flags and talked the talk... let this be our future mission! I was starting to feel the stress, my morale was down and then a few conversations with colleagues and a couple negative comments made by people made me take a step back and say 'hey wait a minute' and that just motivated me more. Thank you so much for your tireless efforts for us and thank you to everyone who was out there on the picket lines every day in the heat, no matter what, fighting the good fight. I have had the chance to talk to and meet so many people I didn't know before so thank you for those connections as well. I am on vacation next week but I will be excited to get back and see all the excited kids for the summer programs. Every time I wear a pink shirt from now on it will mean something more than just wearing a pink shirt. I am so excited to go back to work but I will miss every moment of my picketing!! Wow! We had so much fun. See you all [at the ratification vote] with our similing faces. We did it! We won!!! I feel like we won the lottery! Only we didn't win it, we FOUGHT for it! I knew in time opinions like this would surface. This is EXACTLY what the employer wants. They want staff to have the "this doesn't effect me, so I don't support the movement" attitude. This is the response that I myself have received from friends and family: "But you're full-time permanent now, why do you care about other levels that you probably won't go back to?" But once they hear the issues they understand. I care because I was part-time for 15 years, and I received nothing. I care because when I became full-time I suddenly had all these things I never had before, I was suddenly so much more important, when nothing had changed. My work ethic stayed the same, my intelligence level was the same, who I was still the same. But because I was now full-time, suddenly I mattered. I care because suddenly my 15 years of part-time service meant nothing (they didn't want to give me my service pin because I was now full-time, though I completed more then fifteen years at part-time -- my manager had to fight for it). I care because I've known many people in this system for many years and we've all at some point felt that part-time staff meant nothing and that has finally changed. The bargaining team has made me believe that change is possible, that we CAN make a difference but we MUST stick together. It's never too late to help your teammates receive things they should have had a long time ago. Full-time or part-time, Pages or supervisors we are all human beings and deserve to make wages we can live on. Solidarity, today, tomorrow and always!!!! I understand the stress, we're all feeling it. I know as this goes into a second week people are coming to the realization that this could possibly go on for a while. Know what's lost now will be regained in the future. The City now knows we're not afraid, they know that we are willing to do what needs to be done, and I hope that because of this they will deal with future agreements with more class and dignity than this round, because they know we won't back down. I put all my trust in our leadership and the bargaining team. There will always be bumps, it's part of life. This will all be worth it in the end. Solidarity always.